Whether you choose just the wine or you upgrade to include the regional gourmet treats with the Adventure Package, this quarterly wine club will take you on your own wine-drinking adventure around the world. Extensive regional and winery information goes out with each shipment, chock full of photos that help you feel like you've gone wine tasting in a far away land. As a general rule, we think Gold Medal Wine Club has little they can do to improve. Whether you're buying for yourself or as a gift, they've really done a lot to create a wine club worth joining. A International Series membership costs $75.00 for 3 bottles of wine. Shipping costs extra and is $12.50 per shipment plus sales tax where applicable. The price per bottle, with shipping, ranges from $29.17 to $40.83 depending on how you configure your membership. Shipments are sent quarterly. Subscribe and cancel any time or pre-pay for a fixed number of months, as a gift or for yourself. We've been reviewing Gold Medal wine club for more than five years. Without a moment's hesitation we can say that they have the most consistently excellent wine club. They have an extraordinary expectation of wowing their customers—and their customers' lucky gift recipients. This is the first time we've had the pleasure of reviewing a shipment of their International Series wine club... and we got exactly what we were hoping for. I am both an adventurous eater (though nothing alive, please) an adventurous wine drinker. I also have wanderlust. So... naturally a wine club which features a different food-and-wine region around the world each shipment is right up my alley. This shipment's featured region is Portugal! As you can see below, this wine club comes with three wines and an assortment of food-lovers snacks. I've already tucked into everything that came in the box, except the honey. I'm still dreaming up ways to enjoy it. I especially loved the hot-sauce because it's such a different way to approach something than the way Americans and Mexicans do—same heat and flavor, but without all that vinegar. But what about the wine? Isn't it all about the wine? The wines in this shipment were as much a delight as the food. The shipment features three wines from a winery called Quinta da Pedra Alta in Douro, one of Portugal's most famous wine regions. There were two reds and a white to explore. The white, Branco Reserva, was light and very food friendly. It had very little fruit and a unique minerality I haven't encountered in other European whites. I enjoyed the adventure very much. The red wines are also exciting adventures. I especially enjoyed the Tinto, a blend of 50% Touriga Nacional, 20% Touriga Franca, 15% Tinta Roriz, and 15% Tinta Barroca. The International Series from Gold Medal comes with its own magazine called "Taste the Adventure." By far the most educational of Gold Medal's different wine club inserts, I learned so much about Portugal, its history, its economy, and its food and wine! They also included delightful recipes paired for these specific wines. One of our favorite things about the Gold Medal wine club is how they really push hard on quality, but also on rewarding their loyal club members. Find a wine you love in this shipment? You can order more at further members-only discounted prices. At WineClubReviews.net we take an objective approach to our star ratings system. Our written reviews are very much subjective, based on our 5+ years of wine club review experience and our own ideas about what good wine and good value mean. The star ratings are based on 11 attributes that we feel define what a wine club should be. Here is how International Series Wine Club stacks up on these traits. The International Series explores one winery at a time from a different wine region, usually somewhere lesser known. Recent shipments have featured: the Rosario region of Chile, the Padthaway and Frankland River regions of Australia, the Stellenbosch region of South Africa, the Rioja, Valdeorras and Duero regions of Spain, and the Duero Region of Portugal. We received the Portugal package and were quite pleased with the wines. They were unusual, but of high quality—this distinction is important because many people think if they don't like a wine, it must not be of high quality, when in reality it's just not suited to their palate. This is an area where Gold Medal shines. Your regular club shipments are up to 32% below winery retail. Unlike some of their other clubs, there isn't a buy-more-save-more opportunity but the up front discounts are steeper. Their prices are quite competitive for these wines, assuming you can find them stateside. The International Series wine club comes with a two-page brief on each wine included in the box. They discuss at length the wine region and its history, other wine regions nearby, the country's cultural basics. Each wine has a paragraph devoted to tasting notes and an explanation of the significance of the wine. There are also notes about the wineries and the winemakers, and regional food pairing recipes. In almost six years of working with Gold Medal we have never had a single customer complaint. That's amazing to us. Our usual Internet sleuthing failed to turn up any customer complaints. Kudos to them! The International Series Wine Club by itself is not especially unique. It offers a higher quality wine than most other International clubs. But if you add in the Adventure Package of local foods and snacks, suddenly you have a truly unique wine club and gastronomic experience in front of you! 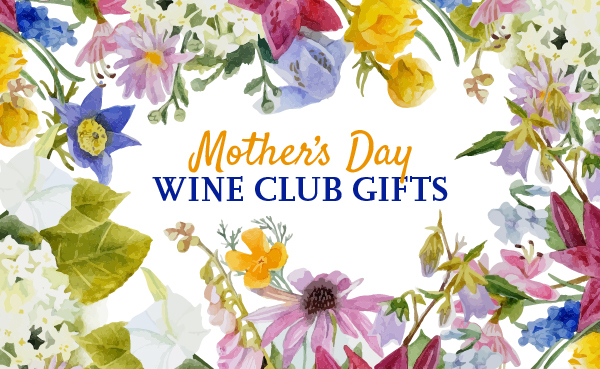 Gold Medal does not regularly offer an introductory offer, though during peak holidays like Valentine's Day, Mother's Day, Father's Day, and Christmas you'll find free gifts with purchase like gourmet truffles (chocoalte) and wine accessories. Gold Medal offers generous discounts on reorders, while supplies last—buy 2-5 bottles more and pay the regular price, buy 6-11 bottles and save up to 10%, buy 12-23 bottles and save up to 12%, buy 24 or more bottles and save up to 15%. Four-bottle members save more on reorders. Lastly, members-only special deals are limited. There are occasionally members-only sales. Since their wines are already very competitively priced, we don't mind that there aren't more offers coming from them. Gold Medal relies on a team of knowledgable wine professionals to choose their wines. At this price range, there aren't any other wine clubs focused on award-winning (hence Gold Medal) or highly-rated wines by professional critics. This adds an extra level of curation to their club which can give you peace of mind. Note: This rating is our objective analysis of Gold Medal’s satisfaction guarantee—not our assessment of whether or not you’re guaranteed to be satisfied with their wines. For Gold Medal, this is the weakest aspect of their wine club program and it's why they don't have a 5-star rating from us. They say "Satisfaction Guaranteed" on their website, but what they really mean is that they believe you'll love what they ship, not that they'll replace anything you don't like as most other clubs of this caliber promise. If a shipment is damaged in transit we will replace the product at no additional charge. If the wine is corked from the winery, we will replace the bottle at no charge. On the rare occasion members receive the wrong product, a discount is offered, or the shipment can be returned at no-charge to the member. Due to the nature of our products, refunds occur within 14 days after bottles are returned to our facility unopened. We do not pay for shipping of returned products, or refund payments if we are unable to restock the wine back into our inventory for any reason. That said, we'd be genuinely surprised and concerned if you recived a stinker from Gold Medal. Gold Medal is a more old-fashioned company. If you need to hold your service for a vacation or want to cancel your membership you'll need to call and speak to someone during regular business hours. You can handle reorders yourself online, as well as see a record of the wines you've received and when you received them. A personalized wine club used to mean you picked the color of your wine and how often you received your two-bottle selection. For Gold Medal, it still does. You can select a mix of red and white wine, or choose red only. The club only ships quarterly. Don't forget to add on the Adventure Package to make your journey complete! This is a really fun wine gift to receive—especially if the Adventure Package is part of the deal. Buy someone a year of food & wine travel by purchasing four shipments of this awesome wine club gift.